The Lord of Miracles, or El Señor de los Milagros as it is known in Spanish, is actually a centuries-old painting on the wall of a relatively obscure church in central Lima. According to tradition, in 1651 a slave who had converted to Catholicism painted the depiction of Christ on the cross on the wall of a building in the outskirts of Lima where new devotees to the faith gathered to pray. When a devastating earthquake struck the city four years later the entire building collapsed except for the wall adorned with the painting. Over the next several decades, the image became associated with miraculous incidents. More and more people, particularly the descendents of slaves, began to worship at the site. This concerned both the church and Spanish authorities and, in 1671 the image was ordered destroyed. According to legend, workers were not able to do so. But, for whatever reason, officials eventually relented and built a proper church on the site – the church of Las Nazarenas. When another huge earthquake struck Lima in 1687, the chapel was destroyed but, once again, the wall adorned with the painting remained standing. This cemented the importance of the image to the faithful and church leaders ordered a painting of the image to be taken out in procession that October – the tradition that continues to this day. 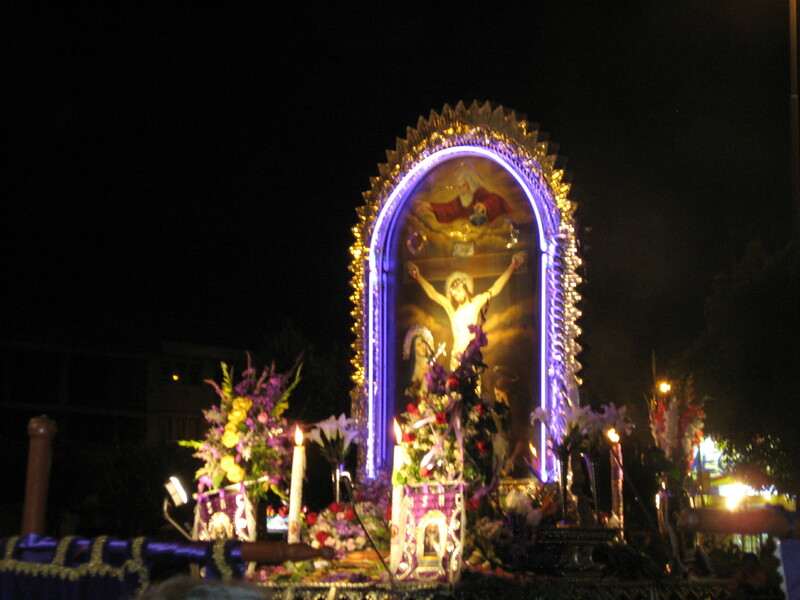 Here in Cusco the celebration of Señor de los Milagros is less elaborate than the mes morado (purple month) celebration in Lima. 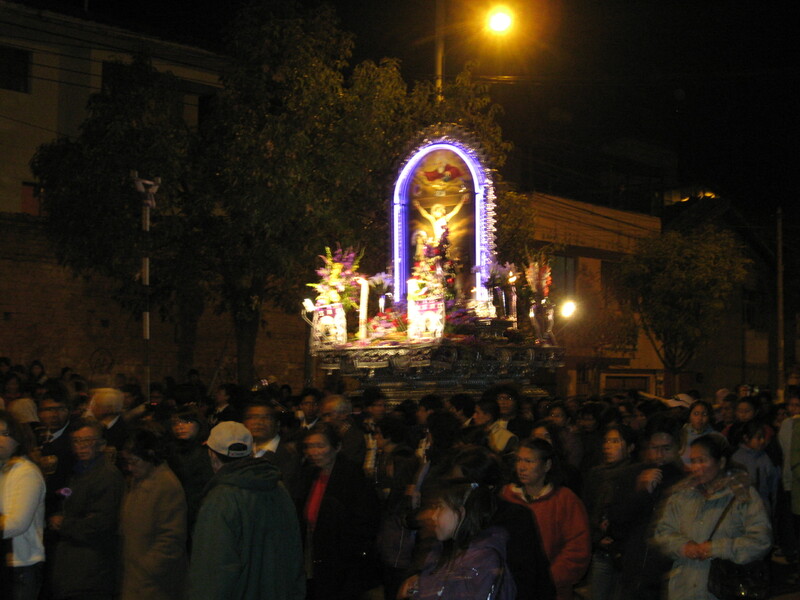 I imagine the simpler celebration in Cusco reflects the fact that Señor de los Milagros is native to Lima and Cusco has other typical celebrations of Señor de los Temblores during Holy Week (Semana Santa) and Señor de Huanca during the month of September. 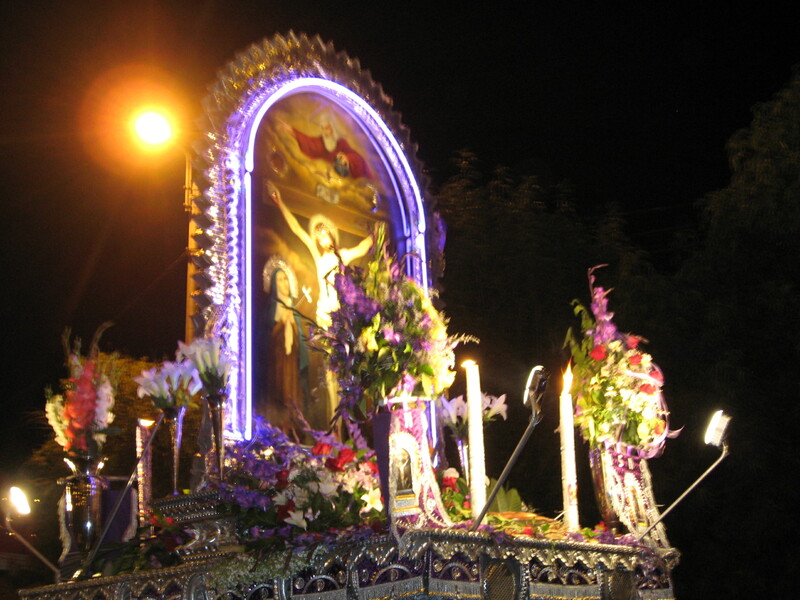 This entry was tagged Cusco, Cuzco, mes morado, Peru, religion, Señor de los Milagros. Bookmark the permalink. Tampoco me gusta el color morado. El SR. De los Milagros tiene que seguir saliendo a las calles de Lima para limpiarlas de gente tan NEGATIVA como tu que “odian” todo hasta esta ellos mismos. Exacto! El senor de los milagros tiene que seguir saliendo para los miles de fieles que lo aclaman, la visita que hace en su recorrido al hospital Loayza es bien emotivo, yo lo vi ahi y los pacientes terminales son los que tienen prioridad ahi. Extrano verlo, ya no vivo en Peru pero todos los anos me acuerdo de El.